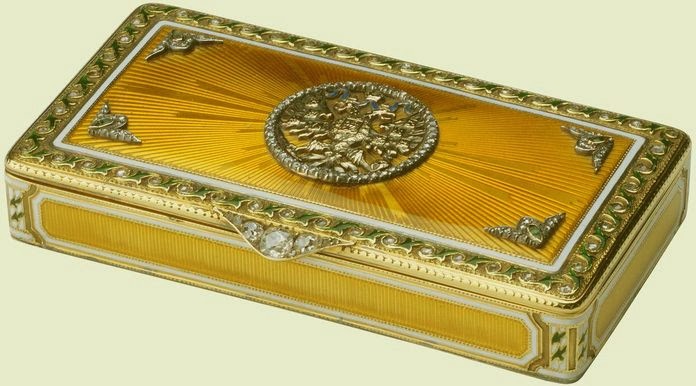 Last friday I showed you and egg-shaped Fabergé box, but today comes a more normally shaped box - an Imperial presentation box! Made by workmaster Mikhail Perkhin, sometime before 1986! 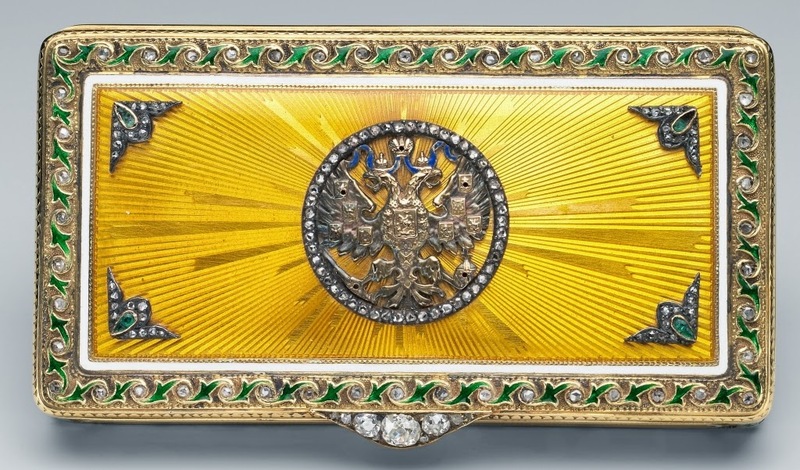 This rectangular box is made of gold, covered with yellow enamel over a guilloché ground in a sunburst pattern. The border is decorated with green enamel scroll leaves and rose-cut diamonds. The thumbpiece is also set with diamonds. On top of the lid you can see the Romanov dubble-headed eagle in gold and enamel, in a circular frame of rose-cut diamonds. The box was bought by the Maharaja of Bikanir from Wartski in 1937, and given to Queen Mary for her birthday that same year. It can now be seen in the Royal Collection.